Is everybody getting excited for the “Papa’s Next Chefs” Finale? Papa’s Cupcakeria will be getting chefs very soon, and we can’t wait to see who wins! In the meantime, we thought you might like to see a new customer who will be visiting the Cupcakeria. 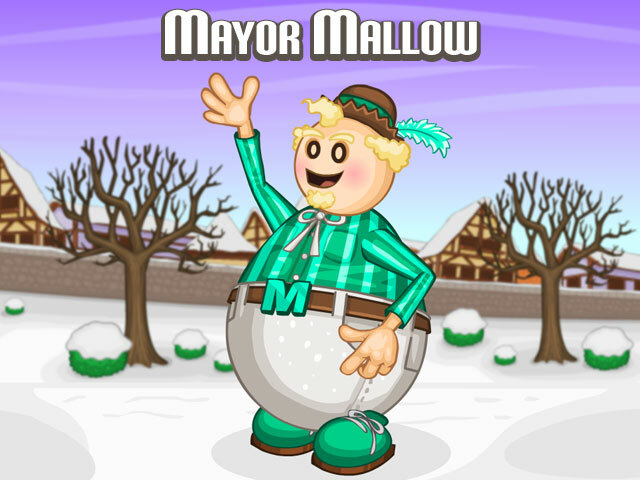 He is Mayor Mallow, and as you can probably guess, he is the mayor of Frostfield. Mayor Mallow makes it a point each week to check the food quality of all the restaurants located in Frostfield. The one thing he has learned from being mayor is that good food brings in more tourists, and more tourists means more money for the town.